Australia has geared up to open its doors for overseas skilled individuals to work in native industries in order to boost the country’s economy. Initially, Australia was known for top universities, which allures overseas students to pursue their higher education and many students from Asian nations and from other parts of the world come to Australia for education. However, the country gradually started offering lucrative jobs and high life styles to the individuals. Thus, people started migrating to Australia on Australian Work Permit. Australia is an excellent destination to stay and work, as it offers excellent offers and high standard of life. Australian government has introduced different types of visas for Australia based on the purpose of individuals arriving to the country. According to the DIBP, every year millions of overseas nationals pack their bags and come to the country on Australia work permit visas. The diverse types of visas available in Australia might confuse the individual to choose an appropriate one. Thus, below are some of the Australia work permits in that allows overseas individuals to reside and stay in the country. 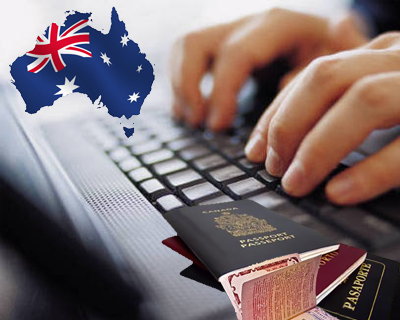 Australia Skilled Independent: This type of Australian Work Permit is structured for skilled migrants who desire to work and reside in the country in order to contribute the country’s economy. Australia Skilled Sponsored: This visa category is designed for skilled immigrants who will be sponsored by family members residing in Australia or nominated by a participating state or territory. Australia Skilled Regional Sponsored visa: This visa is shaped for skilled immigrants with sponsorship from eligible individual residing in selected areas of Australia. Australia Skilled Regional: This is a permanent visa gateway for Skilled Regional Sponsored Visa holders. Australia Regional Sponsored Migration Scheme: This visa program is limited to particular areas of Australia that permits employers to plug their job vacancies by sponsoring skilled employees. Australia Graduate Skilled: This is a skilled visa designed for overseas students who have family relations in Australia and have freshly completed study program in the nation. Apart from these Australian work permits, there exists other obtain Work permit for Australia such as Employer Nomination Scheme, 457 Work Visa, Australia Working Holiday Visa, and Work and Holiday Visa. Acheive your targets through our MoreVisas @ Enquiry Form and you may also follow our updates with Facebook, Twitter and Google+. I am currently residing in Fiji and I am looking for a job overseas.I have done BCOM Hotel Managent at University of the South Pacific. ← What Need to Know More About South African Business Visa ?